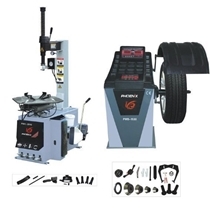 This Phoenix Tire Changer / Wheel Balancer Combo consists of the PWB1535A Wheel Balancer and PWC2710 Tire Changer and Deluxe Wheel Weight Kit. MANUFACTURER WARRANY 1 YR. EXTENDED WARRANTY ADDITIONAL 1 YEAR. TOTAL OF 2 YEARS WARRANTY. 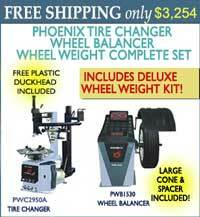 This package includes the PWC2710 Tire Changer, PWB1535A Wheel Balancer and a Deluxe Wheel Weight Kit. 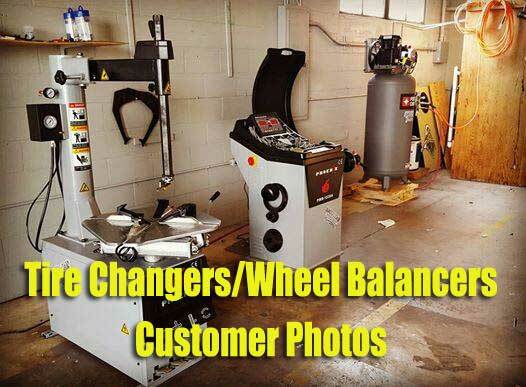 Check out some of the reviews of the PWC2710 Tire Changer PWB1530A Wheel Balancer Combo! Phoenix manufactures quality wheel service equipment at affordable prices. Have a look inside a Phoenix tire changer (right), and you will see components such as metal air valves rather than plastic, a bead breaker cylinder built to last with 5500 lbs of force, a motor and transmission that run smooth without vibration that transfer plenty of power to handle even larger wheels, such as Ford F350. Foot control pedals operate metal air control valves structured for long trouble-free operation, unlike many higher priced products that use plastic valving but charge a premium price, perform no better, and do not last. Comparing Phoenix equipment with the big names you will learn Phoenix offers the same quality at a lower price (no big food chain to feed). We also offer better service; when you call, we answer. You won’t need to leave a message or pay ridiculous prices for replacement parts. The top of the tire machine uses a large turntable (26″ or 28″), thick and rugged to handle large wheels. Behind the wheel clamps there are air jets, the part of the bead blaster which assists in seating the bead for mounting tires. The air supply tank is housed in the upright tower, eliminating the need for an exterior tank. The adjustable air regulator and water trap is mounted beside the automatic oiler, which is necessary to keep the machine lubricated – where there is compressed air, there is often moisture. The oiler drips oil into the machine each time you use a foot pedal function, spreading lubricant throughout the system and limiting wear on parts. It is easy to fill: just spin off the reservoir, on and off in a minute. Strong large cylinders under the turntable move the rim clamps in and out and provide a solid grip on wheels. Of course, the steel duck head — which removes and installs the tire on the wheel — is lined with plastic inserts to protect against damage to wheels. **Included as a standard piece is an all plastic duck head you can install when working with high end wheels which are fragile. Other brands charge for this as an option, usually $70-$100.00. Will you have telephone support 8 am - 5 pm Monday - Friday? During your warranty period, this service is free. Compare the weights of the machines you are considering purchasing. Lighter weight machines generally are made with a weaker frame and weaker parts which lead to failure. One year warranty is a standard. Is your supplier confident enough in his product to offer an extended warranty? 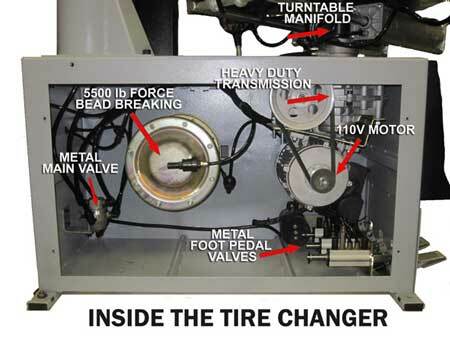 Ask about the materials used to make the valves inside the tire changer. 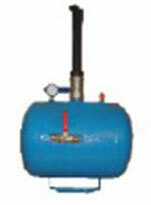 Metal valves last longer with much leaking and overall trouble. Where there is compressed air, there is moisture. An inline oiler is necessary for many years of service. A clip-on air hose leading up to a filler box and gauge on the machine prevents your hands from being near the tire during inflation. Less expensive inflators have a filler gun and gauge (one piece) that require hands on top of the tire at inflation. 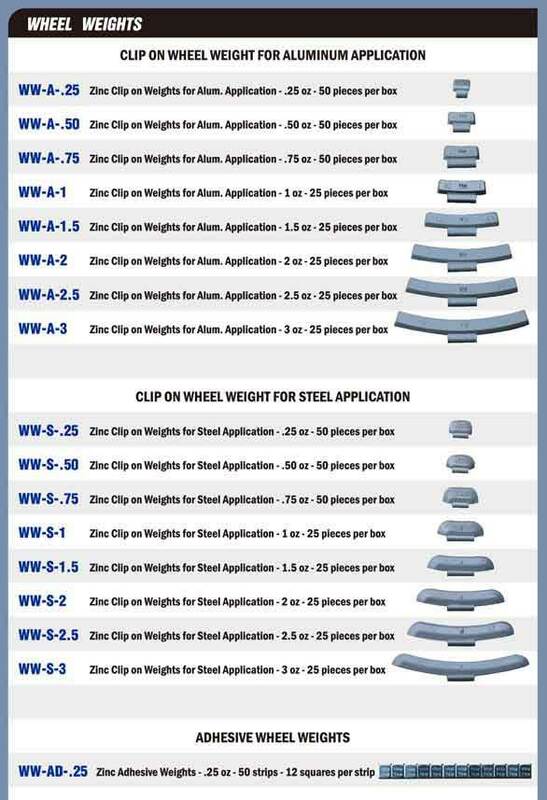 Consider max and min wheel diameter, max wheel thickness, overall tire and wheel diameter, bead breaker, etc. Go with a business who is consistent with the same business and has a history of customer service and has proven it over time. 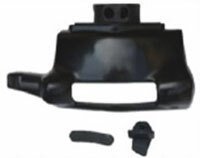 Does the company stock parts, can they ship them without delay, can you reach them with a phone call. Can you depend on service and help after the sale? Make sure you buy from someone who has a store and warehouse with inventory to support your needs after your purchase. You may need to learn how to set up and use the tire changer. When you buy, make sure training is offered for your new machine. Phoenix PWB1535A Wheel Balancer is a 110v 60 hz motorized digital wheel balancer with auto entry for distance and diameter setting. It is capable of balancing of steel and aluminum wheels as well as motorcycle wheels with optional adapter. 3 Aluminum Modes allow weight placement to avoid interference with brake and steering parts. Rim Width: 1.5 - 20"
Rim Diameter: 10 - 24"
1 3/4" - 2 5/8"
2 5/8" - 3 5/8"
3 1/16" - 4 5/8"
**Deluxe kit includes one complete set of clip on weights for aluminum application, one complete set of clip on weights for steel application and one box of adhesive weights. Everything good so far, we've used several of the features, aluminum and static. Hubs alright for common vehicles. Wide enough range of cones for steel and aluminum wheels. Good tire changer and balancer, they work well. Hood is a bit small for 20 -22, but I like it and works good. Good deal for the price. I would call you again if I need other equipment. Bought 2 full motorcycle lift packages, A tire machine and a wheel balancer with all the motorcycle adapter and everything shipped super fast and works great, I couldnt be happier and everytime someone asks where I got my Equipment I proudly say www.nhproequip.com, ask for Clark Heintz, he is the man!!! So far they are working great, have saved us a lot of money by being able to change our own tires. I own 19 Fed Ex trucks, so we change a lot of tires. Tire and Wheel Balancer work great - have no issues with them so far. I have to admit I was a little nervous spending that kind of money with a company i never heard of. Then after placing the order and 2 weeks of nothing I was more worried. Once it finally arrived almost 3 weeks later it's ok. It took a little time to get the balancer put together properly but it eventually happened and we are making money. Thank you for checking and will be ordering another set soon. Finally had a chance to use the tire changer and balancer combination today for the first time was very happy with everything seems to work perfectly no issues can't wait to do some more work in the shop. I have been changing a lot of tires and it works great. For the price I paid it is nice equipment. We are very pleased with our purchase. The machines have worked very well for what we needed it for, seem accurate and pretty easy to use. I actually have not had much opportunity to use either piece of equipment. So far everything is fine with them. I would like to thank the owner for taking a call regarding assembly while he was on vacation in Florida. Very nice. I highly recommend both of these products!! Thanks to Clark Heintz tools & equipment American Diesel Performance LLC is set up for wheels and tires packages! Absolutely great equipment for the price! Already thinking of what to order next from you guys! Everything the add says and more!! I have been dealing with tire for 20 years. Shipping took a few extra days then posted , but I live in a rural area and had special needs I didn't realize would extend so my fault. Shipping containers were built stout so no scratches or dents. The I think owner I was dealing with and he was on leave for family issues and still took my order ( he had time I'm sure ). Very through explained everything and what was to be expected , how it works, what wheels I won't be able to do cause I purchased the smaller units due to space, I own a small motorcycle shop. Anyways it was a great experience and I will be dealing with this company again in the near future. Very impressed, Great Experience, Great Products. Great machines. I purchased this combo for our new shop a few months ago and have had no problems with them. They are a great company to deal with as well. They're awesome machines, haven't had one bit of trouble with them. Thank you Clark and team for service after the sale! Almost a year ago we purchased a Phoenix tire machine balancer combo from NH Pro Equip. The bead breaker shaft failed the other day. Called in and spoke with one of the reps and they had a new cylinder in stock and shipped it out under warranty right away and got us back in business. Thank you Clark and team for service after the sale! Thank you so much! I am very happy with the products I purchased and with the customer service. I plan on doing more business with your company in the future! We are very happy with our purchase! We are very happy with our purchase! The equipment is holding up very well, and has paid for itself in savings on mounting and balancing. I've run a lot of tire machines and balancers in my professional career within the shops I've worked (never really my job description but easy money) from Coats to Corghi and these two machines are right on par with them for my personal, after-hours shop. Easy setup, easy operation, and extremely functional. I compared the Phoenix balancer to the expensive Coats machine at work with a few tires and it was right on. I'm love'n the tire machine and balancer! I bought the combo kit 4 months ago I have used it everyday on one ton trucks to passenger cars. Have not had any problems it's a great kit I would recommend this to anyone who wants a quality product. Working great so far. Very happy with the purchase. Best purchase I made. Both are working perfectly and make the job so much easier. Working out good. I don't run a garage so I don't use it a lot mostly just friends and my own family. Mainly bought because of aluminum rims. That thing works great!!! Makes changing tires super easy! I bought a motorcycle lift table a few years ago and they were great. Last week I finally decided to buy a tire machine and balancer for home use. Clark the owner meets you at the door and explains everything about the machines and no pressure on selling you something. He really knows people and how to treat a customer right. He even offered to meet me during the weekend so I could come back and pick it up to save on shipping, it's free but I would need to pay extra from the shipper because I live in a residential area and would need a truck that had a lowering lift gate. I ended up just loading in the bed of my truck the day I was there. They printed off newer unpacking directions, set up was super easy. The balancer was giving me trouble since I have no experience at all with the machines. I called around 6:00pm on a Friday and guess what Clark answered the phone! He said a tech would call me right back. 10 minutes later Fred called me to assist with trouble shooting. After about 45 minutes it was clear I wasn't getting it. He gave me his cell number so I could call back the next morning to start over and together we would figure it out. Saturday morning right on time we started to work through my issues and after about 1 hour I was up and running. If you ever want a great product with even better support after the sale. This company is the one you want. I am so impressed with the way they conduct their business. The tire machine and wheel balancer are awesome! Thanks for all your help! Dismounted 400+ wheels in the last 3 days. Dismounted 400+ wheels in the last 3 days. Never skipped a beat! Amazingly different from what we were used to, but an amazing different. So much more efficient! 305/40/22 tires - no sweat. Great machines. Very good. Was trying to figure out the static balance but I think I got it now. Everything has been great. You are my first choice for anything in the shop. They are great. We have used the crap out of them. I don’t have a single complaint. The machines are working great. Thank you. I haven't had any issues at all. 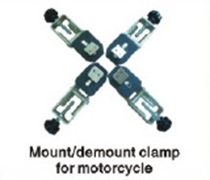 Deluxe kit includes one complete set of clip on weights for aluminum application, one complete set of clip on weights for steel application and one box of adhesive weights. 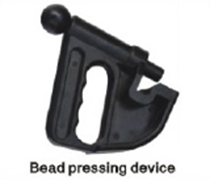 Phoenix PHTC5 Bead Seater for Tire Changers. 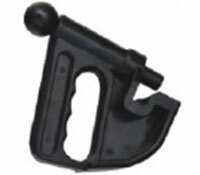 Accessory for Phoenix Tire Equipment.